Hi! I was just really curious why the other 2 girls from the final selection process to be crown princess cannot marry? Why are they considered as women of the king when they can’t automatically be concubines? i just finished the 4th ep of The Moon that Embraces the Sun and I kept thinking about the reason why the girls are to live the rest of their lives in solitude. wow! daebak! i really get so much information from you! u have been so helpful every time. i’m really thankful for finding your articles. thank you! Perfect job Mimi!! I would like to ask two questions: Did Princes and Grand Princes have concubines? And if they had,did their concubines have ranks? En example is Lee Jeong bin, concubine of king Yeongjo of Joseon. She gave birth to Princess Hwaeok and Crown Prince Hyojang in 1717 and 1719,respectively, when Yeongjo was still a Prince. Yes, people could have concubines if they could afford it, and it included the princes. However, the concubines of the princes did not have any official rank, except when their husbands were included in the line of ascension to the throne, i.e. becoming Crown Prince, Crown Brother, or the King. The concubines’ sons, on the other hand, would have rank that was lower than the princes’ legitimate sons. Thank you!!! You really helped me. But I didn’t understand this: Why if they could afford it? Couldn’t Princes take any woman for concubine? Did they had to pay for them? And which women could become Prince’s concubines? How people adressed these concubines? I’m sorry for being pressing but I really want to know. 2nd question: Did the Crown Brother’s concubines have the the same ranks as the Crown Prince’s concubines? What I mean by ‘could afford it’ was for the men, not the women. The men were technically free to take in women of any status (except palace maids and slaves belonging to government and private houses) as his concubines, but that did not mean that the concubines would have the same social standing as the official wives. Most of the time, concubines came from lower social class, thus they suffered bad treatment. They were not treated well because concubinage became a practice frowned upon by the extreme Neo-Confucian society of Joseon. It’s a different story for royal concubines, but they had their own share of frustration especially for their sons, who often had difficulties because of the mothers’ status. There could not be a Crown Brother and a Crown Prince at one time, so in my opinion, the rank used for Crown Prince’s household would be applied for Crown Brother’s too. Also do you know in which social class (yangban, chungin, sangmin, cheonmin) did Lee Yeong Bin, Lee Jeong bin, Jo Gwi in Moon Suk ui and Queen Jeongseong (all of them were Yeongjo’s consorts) belong to? Queen Jeongseong was most likely yangban since she was selected to become Yeongjo’s princess consort, something that was reserved for noble ladies. As for the others you mentioned, as they were palace maids before they became his concubines, they might be from the chungin or sangmin class. By the way, your posts are very detailed and informative. Hi! While I was reading about the court ladies I wondered how the selection process was like. Just like there was a selection process for the consort of the crown prince, please tell me how it was for the court ladies. It was more lenient to select the court ladies compared to selecting future mother of the nation aka the Crown Prince’s Consort. Connection did play a role in selecting court ladies, since senior court ladies would bring in their relatives to be determined whether they were fit to enter the service. The more important the position, the harder the selection process would be. Things like abilities, family status (background check might be possible for critical position), and even their ethics might be tested earlier on to see how they will survive in the harsh environment of the royal palace. Plus, there were possibilities for them to catch the attention of the King, although that was very rare. Hello, I’m watching Love in the Moonlight starring Bo Gum. There’s a character that I’m confused with, Lady Park. She’s called a “court lady” and a lover of the king. Moreso, she has a daughter addressed as “Princess.” Can a court lady be a concubine at the same time? Lady Park is actually the king’s royal concubine, but she used to be a court lady before. Since her child is the king’s offspring, it’s right for the child to be a princess. A court lady would be raised to the status of a concubine if she received the king’s grace, but there shouldn’t be someone who become a court lady AND a concubine at the same time. The latter had higher status than the former. Can you give more details about the princess selection? I’d love to hear more! 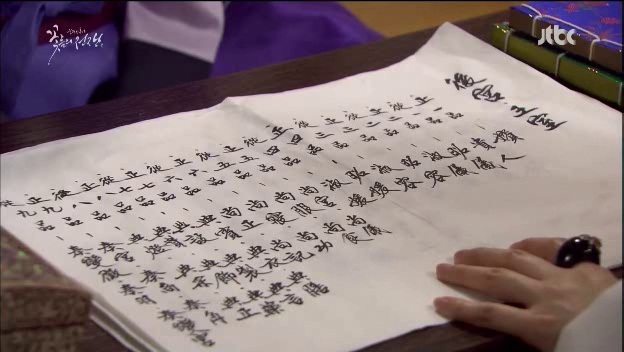 Starting from the banning of marriage for the yangban ladies, given that they are all possible candidates, are they all forced to be candidates or do they have to register first or whatsoever? Who actually manages all these selection process? Is it tasked to the royal family or do they have a separate department for it? What happens to those first two stages and how do they eliminate and filter the candidates? Is it true that the unchosen ladies from the final 3 are made to be royal concubines? Or they are just not allowed to get married after the selection? Tell me more details if possible hehe Thank you in advance! Could a court lady be elevated immediately to the rank Suk-ui if she received the king’s grace? An example is Lee Yeong bin, concubine of King Yeongjo, who was initially a court lady and after she received Yeongjo’s grace she was promoted to the rank Suk-ui. I was surprised because you have written that Suk-won is the first rank for a favoured concubine who was once a court lady. Also, how people addressed the crown prince’s concubines? Just like the king’s concubines’ were addressed as ”mama”, like ”Suk-won mama” or ”Suk-ui mama”, was that applied for the crown prince’s concubines, too? The titles and ranks depended on the King. Although suk-won was the lowest rank for royal concubine, the King could grand higher ranks to his favourites. The Crown Prince’s concubines were probably addressed using the same styles mama. Only the titles and the ranks differed from royal concubines (aka the King’s concubines). Can a girl from the yangban class be selected as a trainee court lady (saenggaksi)? Also, why were the commoners against the practise of sending their daughters to the palace to become court ladies? After the king passed away, what were his concubines called? Like the queen would be daebi but are there special titles for the previous King’s concubines? 1) Staying inside the palace: a very rare outcome, since only the mother of the king or one with good connection with the Dowager (or the king’s surviving Queen) could do so. Special circumstances could be taken into account, hence there were rare chances for this to happen. 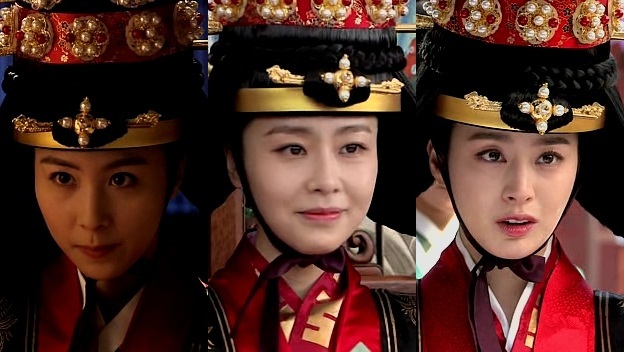 These concubines would be granted special title referring to their living quarters, like King Heonjong’s concubines (Lady Kim of Sunhwagung and Lady Kim of Hwarakdang), or referred to using their title as royal concubines. 2) Becoming a nun: these were the norm especially for those without any son. They could never remarry after the king’d death and living outside was not a good option, hence becoming a nun to pray for the late king’s well-being in the afterlife sounded like the best option for the concubines, according to the patriarchal society of Joseon. 3) Living with their son: for those who had sons, they could live outside the palace and spend their years with their son’s family. They would be referred to using their royal concubines’ titles, which was unique to them. where do the princess’s husbands fit into the monarchy? I know a Korean prince consort could not get involved in politics but what else were they allowed to and not allowed to do? One would have to give up his dream of getting into politics if he wants to marry a princess and become a prince consort, but they could gt involved in managing royal household affairs through departments, acting as honorary supervisors.